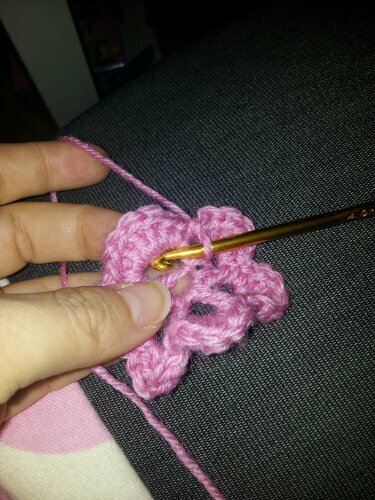 Massive jealousy about my Irish crochet poncho ensued so I have had to promise a poncho for my 4 year old daughter, pink natch. 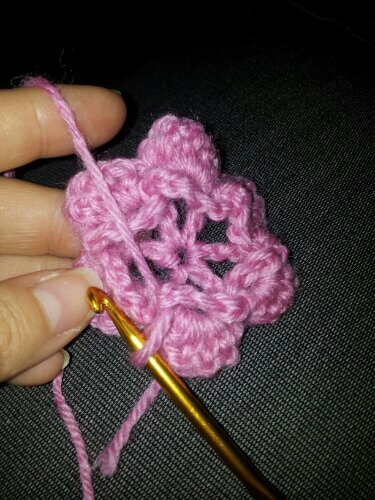 It’s going to be simpler than my poncho, only a few motifs and smaller, I’ve also decided to blog the instructions. 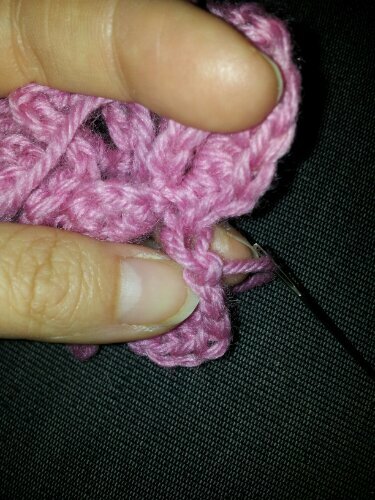 Chain 5, *1 Tr into first stitch, chain 3*; rpt from * to * 5 times. 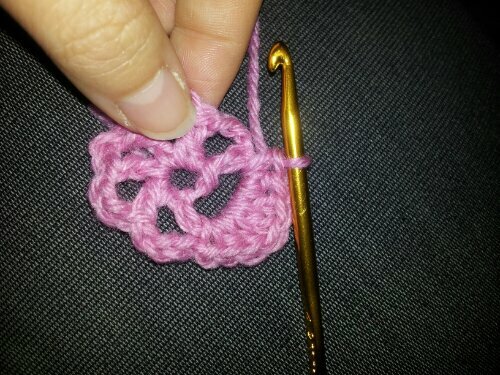 Sl st into loop formed by first chain of 5. Into each of the 6 spaces between the trebles- 1dc, 1Htr, 3 Tr, 1Htr, 1 dc; ss onto the space just before the first dc in the first space. 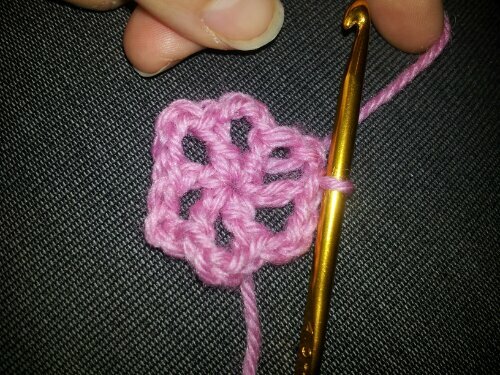 Turn the flower over and identify the stitches from row 1. 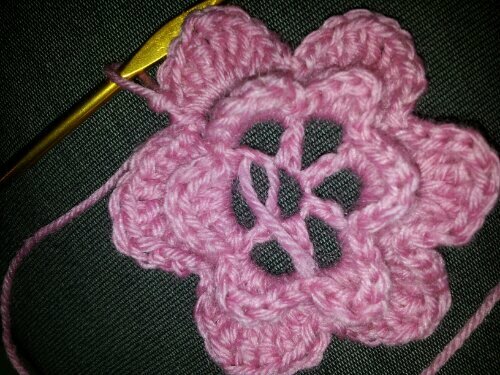 Turn the flower right side facing you and bend the petals forward when you need to ss. ss into back of 3rd chain from first row. *Chain 5, ss into back of Tr from row 1* (5 times). 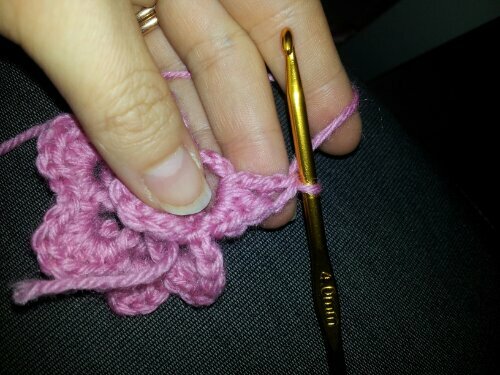 Chain 5, ss into first slip stitch of row. 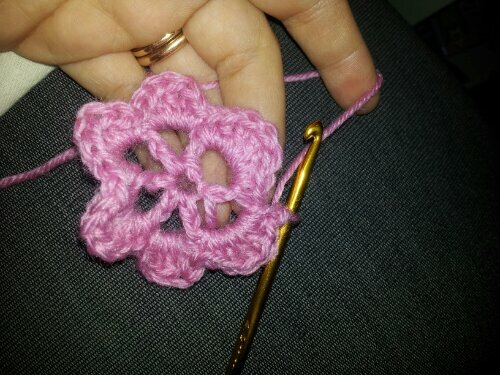 Using the 6 loops you have now created behind the first petals, now make the second layer of petals. 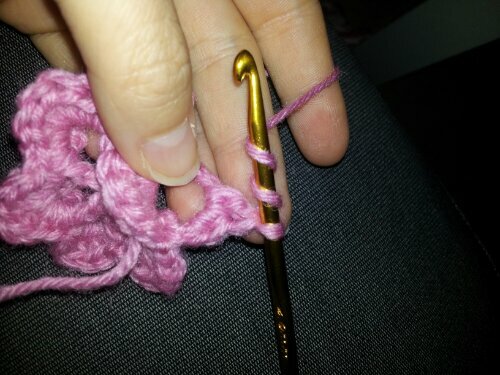 In each loop; 1dc, 1hTr, 2Tr, 3 dTr, 2Tr, 1hTr, 1dc. 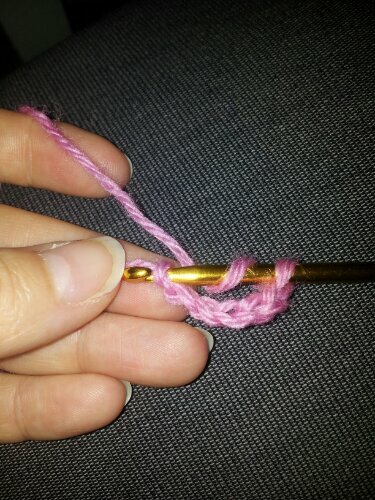 Cut the thread, pull through loop and finish off by sewing into the first dc of the row. 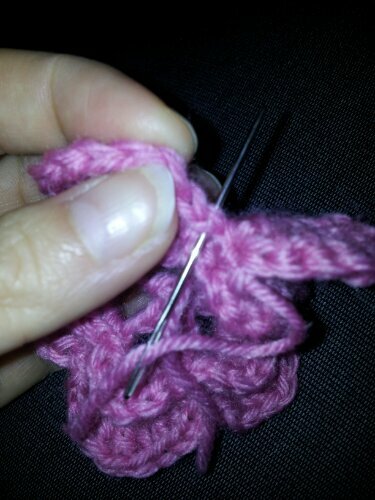 Pull the centre thread to close the centre tightly and finish off. 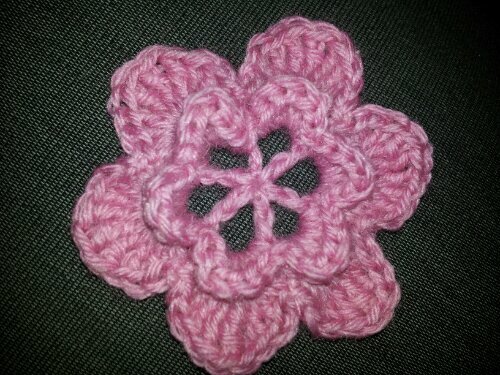 And here is your Irish crochet rose! 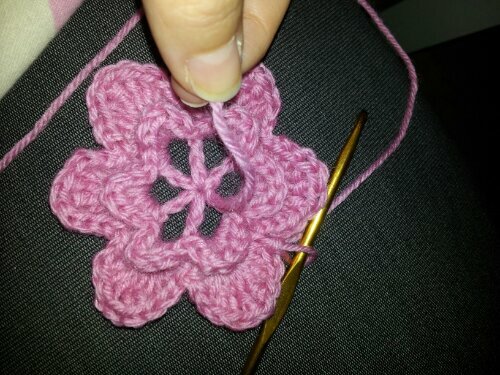 The petals can be changed by experimenting with numbers of repeats of each type of stitch, for example 1dc, 2hTr, 2Tr will make a more rounded petal, 1dc, 1hTr,1Tr will make a more pointy petal.